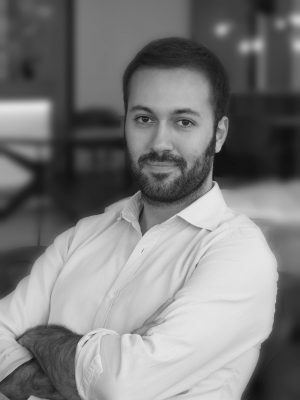 Alberto is the Co-Founder and COO of Democrance. Alberto Pérez was educated at ICAI School of Engineering and EOI Business School in Spain. Driven by his passion to provide access to telecommunications services to underserved regions, he spent over four years reshaping the mobile Value Added Services (VAS) ecosystem in several Sub-Saharan African markets together with leading MNOs, such as Safaricom (Vodafone), Airtel and MTN. Seeking new horizons, he relocated from South Africa to the UAE as the CEO of a newly born B2C enterprise and soon after founded his own award-winning venture, an on-demand fuel service.